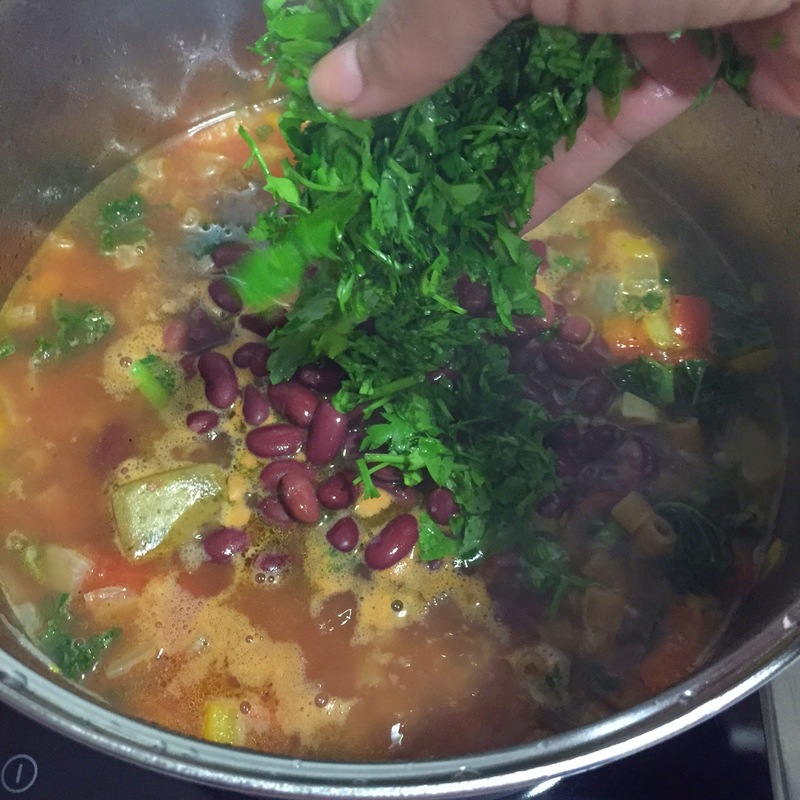 The beautiful thing about Minestrone soup is that you can easily make it your own, use a medley of your favorite vegetables and you're set. The vegetables simmering in that pot result in the most delicious flavors - and this is what I aim for with this recipe. It's super healthy and can last in the fridge for days after. I improvised my recipe by adding bell peppers and kale - and trust me when I tell you this - it's to-die-for. 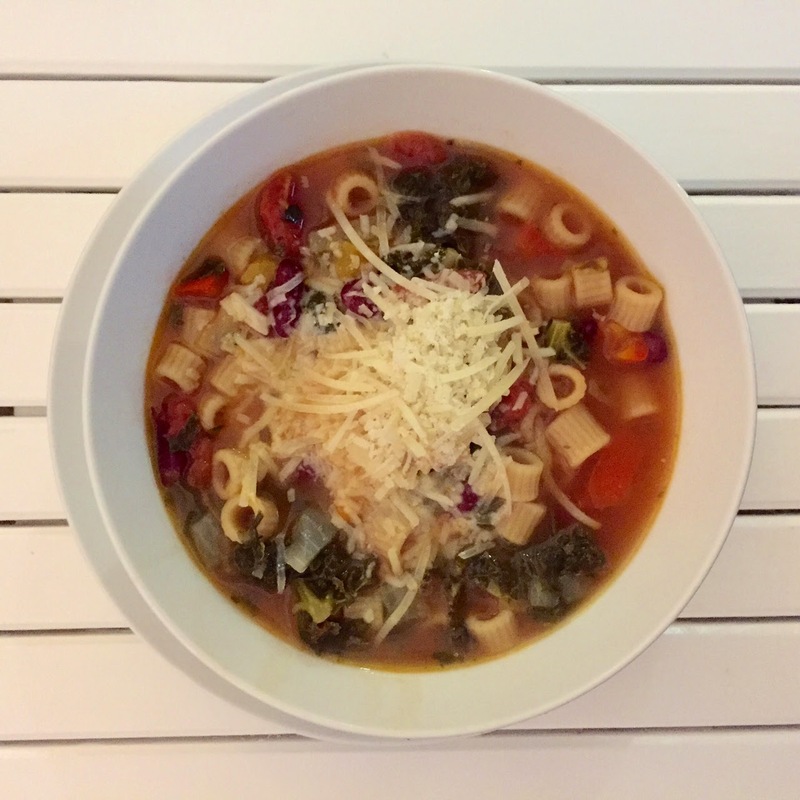 Here's my take on the wonderful minestrone soup. In a large pot, heat the oil (or pot if you're using spray oil). 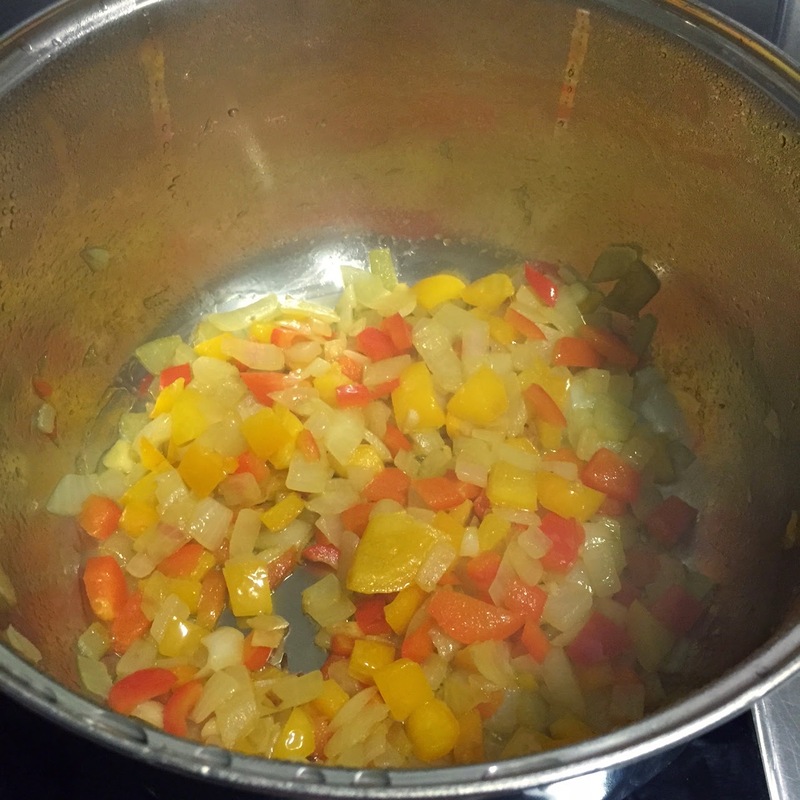 Add onions and bell peppers and cook until soft. 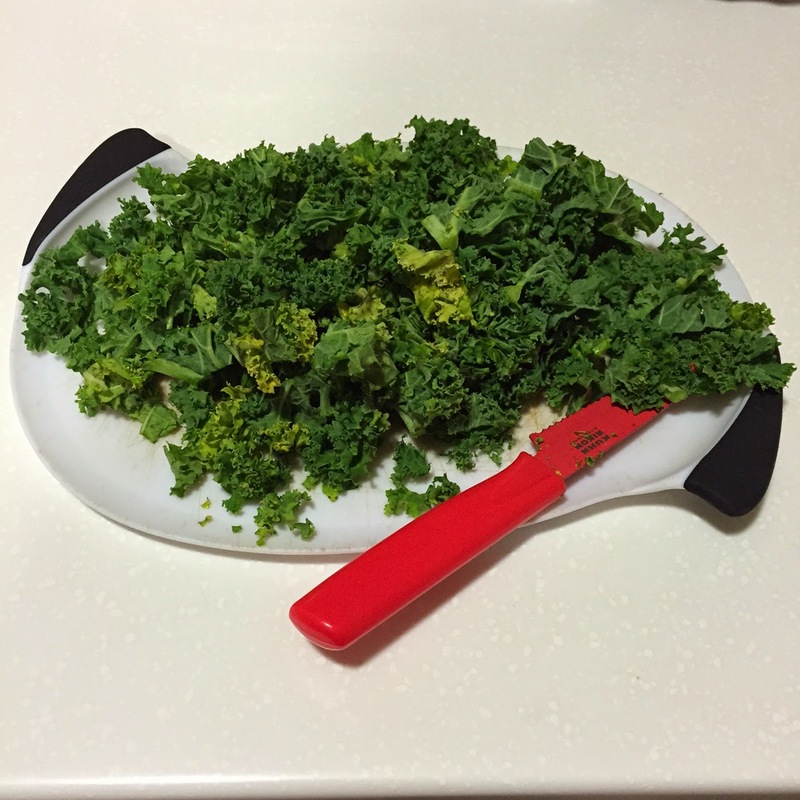 In the meantime, let's look at how pretty the kale is as it waits to be cooked. 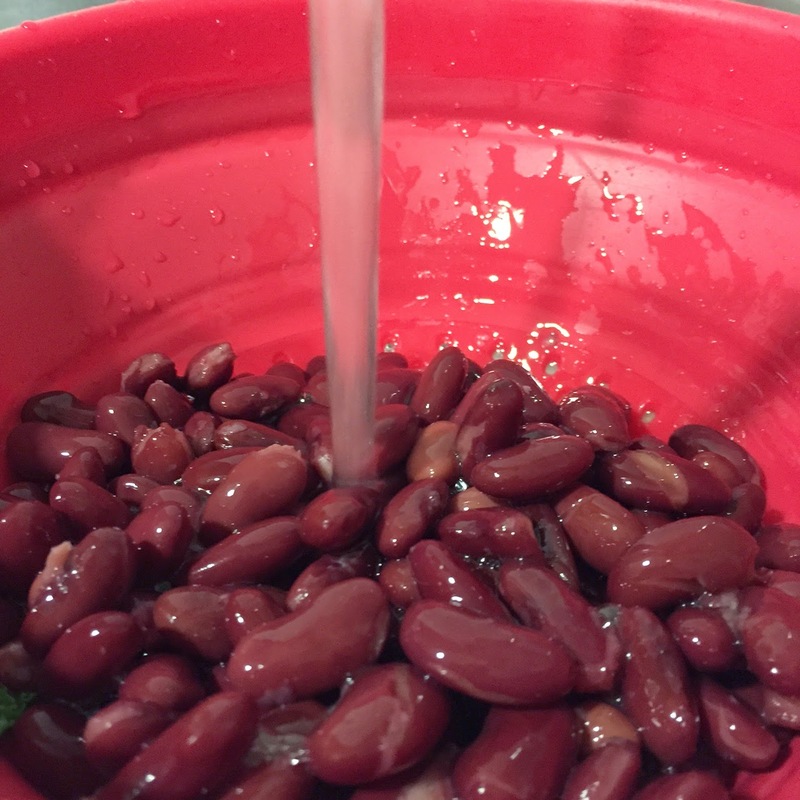 Make sure to wash your kidney beans until the water runs clear. 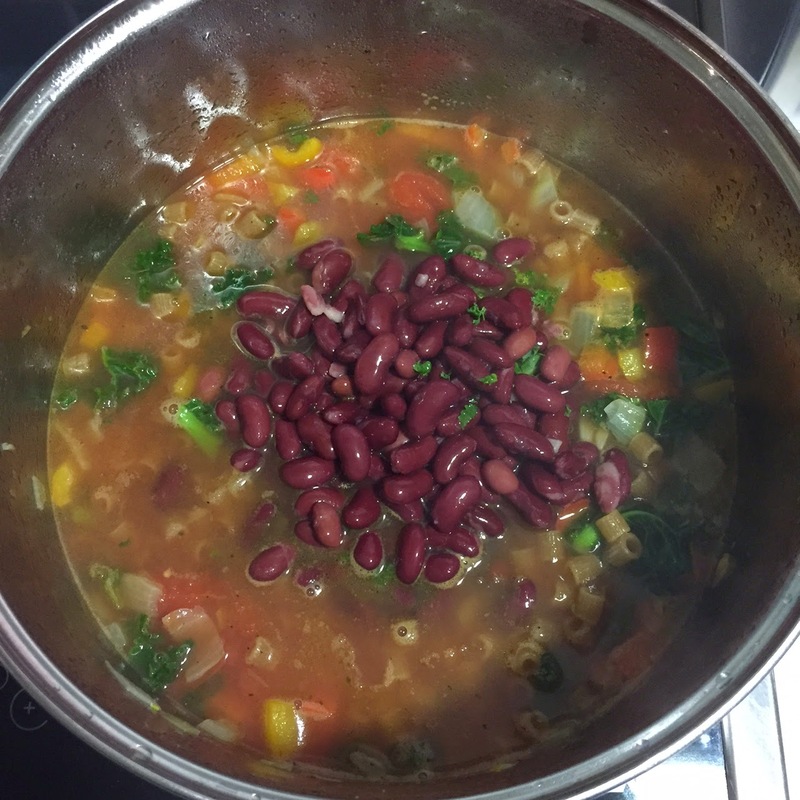 Once onion and bell peppers have softened, add canned tomatoes, kale, water and kidney beans. Stir through and cover. Allow to simmer for 20 minutes. Add dry pasta and parsley. Season with salt and pepper. Go easy on the salt as the saltiness of the parmesan cheese (to be added at the end) will be enough. Cook for an additional 10 minutes. Serve in a large bowl, sprinkle a generous amount of cheese, and enjoy!